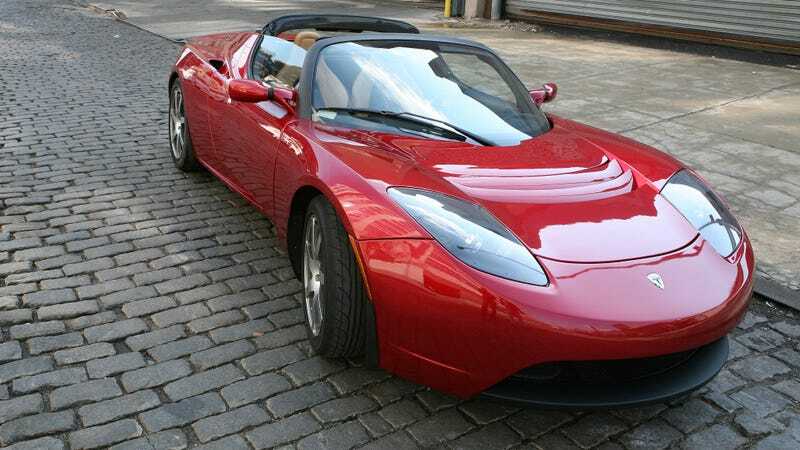 Despite very little suggestion that Tesla is anywhere near developing a second generation Tesla Roadster anytime soon, a new feature on Tesla’s owner’s app proves the company will one day be willing to hand the new Roadster out for free, but there’s a really big catch. Confirmation that a new Roadster may be coming sooner than expected is evident in screenshots of the Tesla app sent to Teslarati from the YouTube channel Like Tesla describing an update to Tesla’s sales referral program. See, Tesla’s previous referral program rewarded existing owners with optional vehicle upgrades like bigger wheels or a solar roof if the owners referred five friends to purchase a Model S or Model X. Since the family behind Like Tesla have referred more people to buy Teslas than average, evidently recognized by the company as being the global leader of referrals, they’ve seemingly unlocked the next reward process of the referral program. The screenshots describe it as a way of eventually getting a future Tesla Roadster for free. The new “secret level” referral program requires owners to get five more friends to buy a Tesla Model S or Model X, rewarded with a 10 percent discount on a “Next Gen Roadster”. From there, for every five more friends referred (they have to purchase a Model S or Model X and take delivery, no Model 3), the referrers keep getting 10 more percent knocked off the Roadster price. Do the math and it would take only 50 referrals to get a free car. It’s an interesting update, but ultimately I don’t see very many people managing to pull of over 50 referrals. How many “friends” that can afford at least a $68,000 electric could you possibly have?